There are several must-have’s we have to do to prepare for Thanksgiving. From making the grocery list, to doing the actual shopping, to cutting up the carrots and cleaning the turkey, it’s an entire process. But, what about decorating? It’s on a lot of out lists to clean the house and get it ready for guests. So how about after we do a little dusting, we add some extra decor to the table as well, creating a bit more festivity. 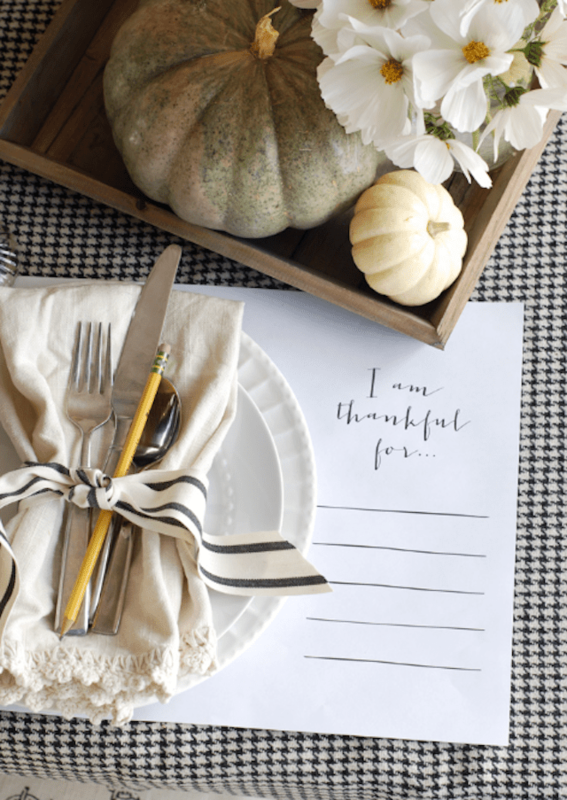 Check out these 15 DIY pieces of Thanksgiving table decor you can create yourself! 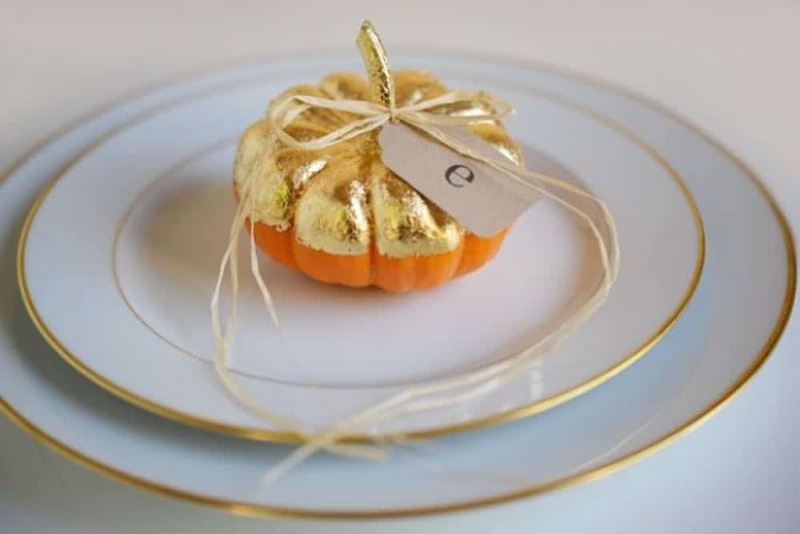 Some small gilded pumpkin like these from Cupcakes and Cashmere could set the scene quite nicely. Highlight each place setting with one of these cuties. Or you can cluster them in the center of the table. Julep will let you in on how to make these chic beauties. Add a bit of romance to the dinner this year by highlighting the meal with pieces like this. Even novice crafters can make this happen. Woman’s Day will give you a fun project as well. 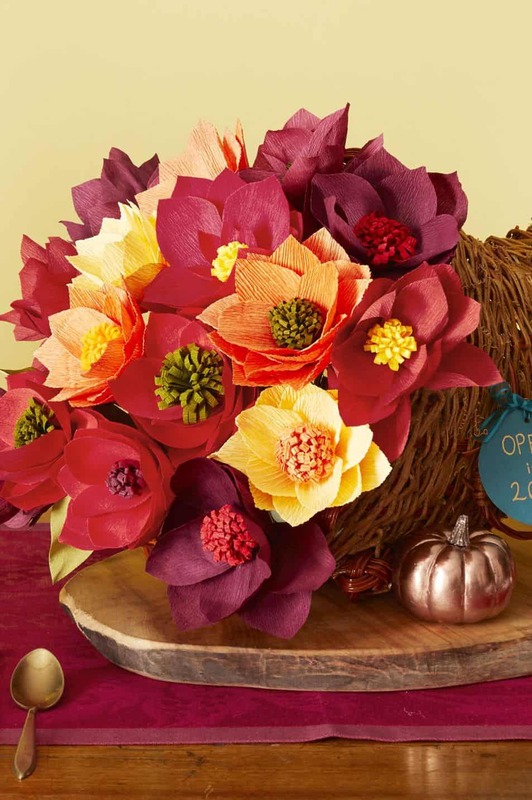 Grab a cornucopia and then fill it with some of these gorgeous paper flowers. It’s the perfect DIY for a rainy day. Grab a piles of pears from the kitchen and then turn it into a piece of decor for the table! It’s easy and you can add some color if you want something a bit jazzier – just dip the ends or tops! Snag the tutorial by visiting Good Housekeeping. Squirrelly Minds will walk you through how to create some extra-special napkins for dinnertime. You’ll get a free iron-on transfer tablet to make the process easy. Simply Happenstance will show you how to bring two of our favorite things together. 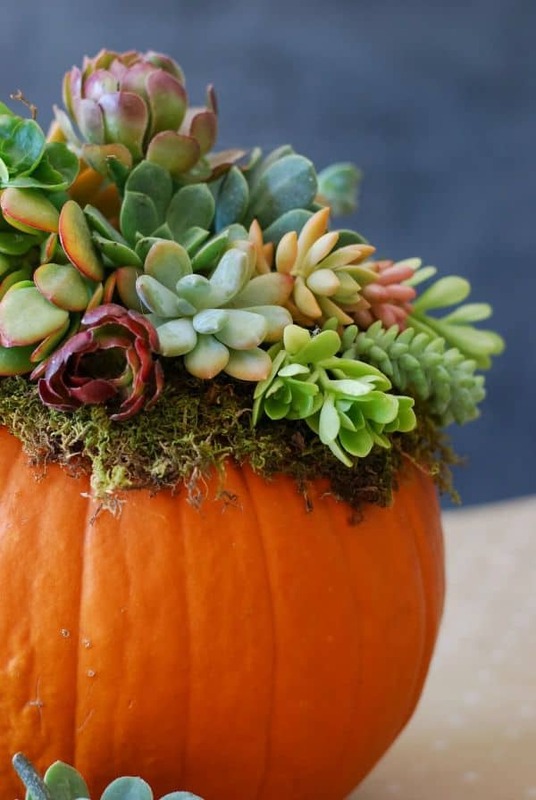 A pumpkin filled with textured and fun succulents will ignite the table with just the right amount of trend and seasonal flavor. Take a peek at the tutorial after the jump. 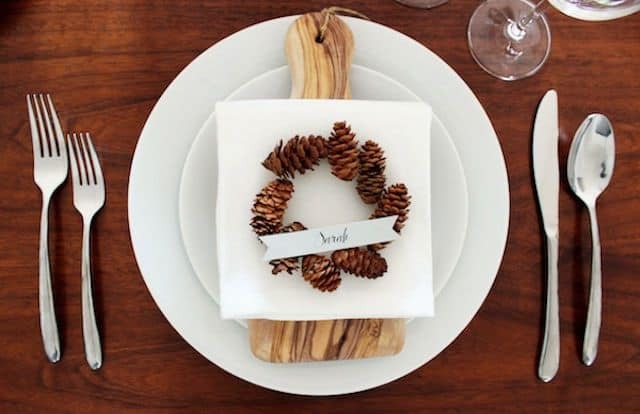 We’re swooning for these mini pinecone wreaths. They can help set the table and make eash space a little more personalized. Learn how to make them by visiting Oh So Beautiful Paper. This planter’s box is quite nice as well. Grab an antique piece and then fill it with seasonal goodies. It’s a beautiful piece of decor for the table. Grab the deets at Little Vintage Nest. 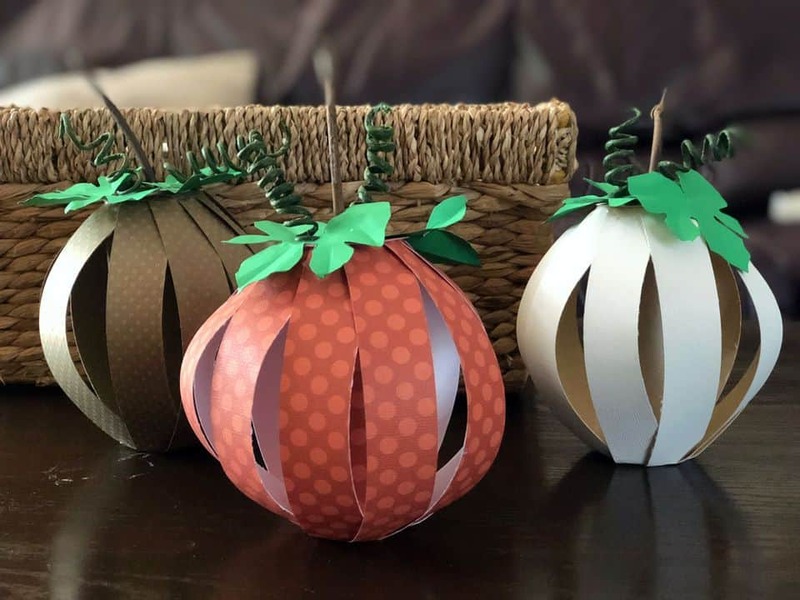 The Spruce will show you how to create some cute pumpkins out of paper. Get the kiddos involved in this one too! And then just sprinkle them around the table for some extra oomph. 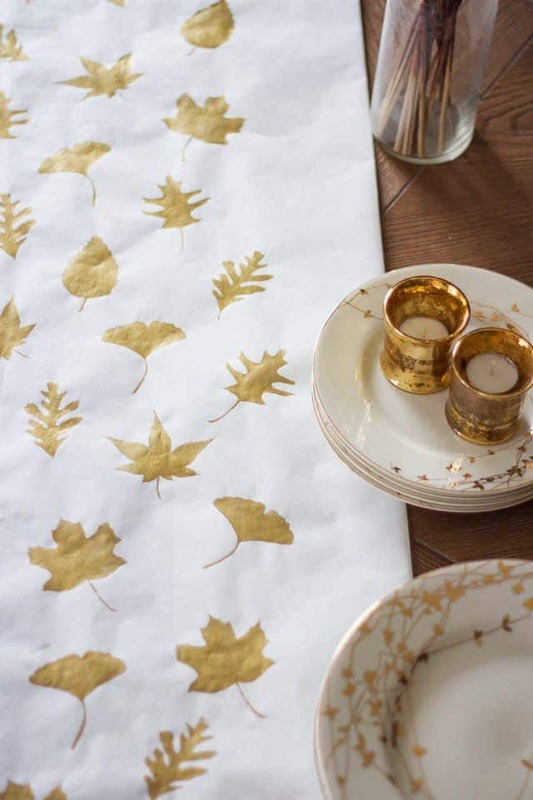 Why not grab some paint and create a golden-inspired leaf-covered table? It’s a family-friendly DIY from Design Improvised that’s easy to bring to life and one that looks great too! 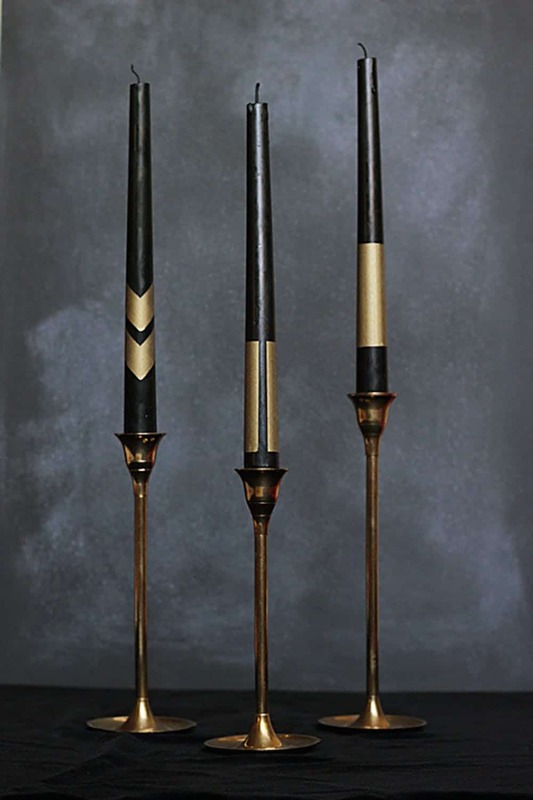 You can use metallic or colors, whatever strikes your fancy. 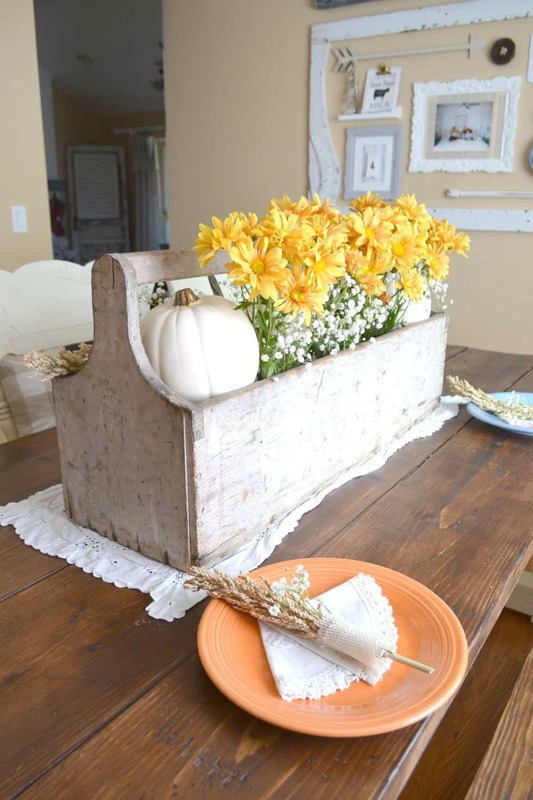 Ella Claire Inspired will show you how to make the table a bit more interactive this year. The kiddos and extended family can join right in on the fun here. And then everyone around can share! 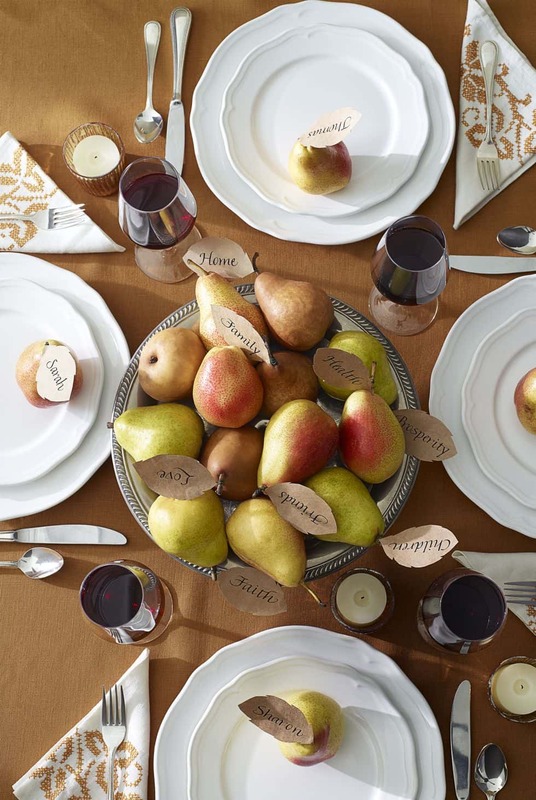 Here’s another fun way to personalize your place settings. 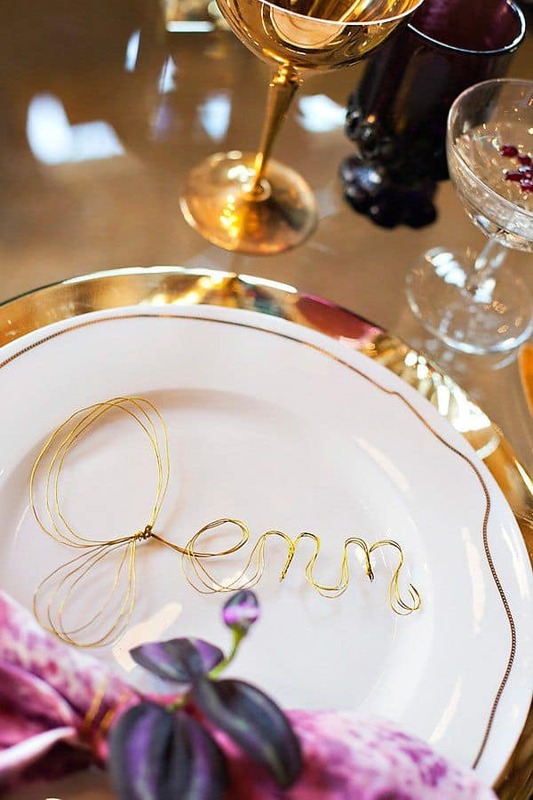 Some wire name tags will be fun to create and impress those guests as well. Take a peek at the details by visiting Hostess With the Mostess. 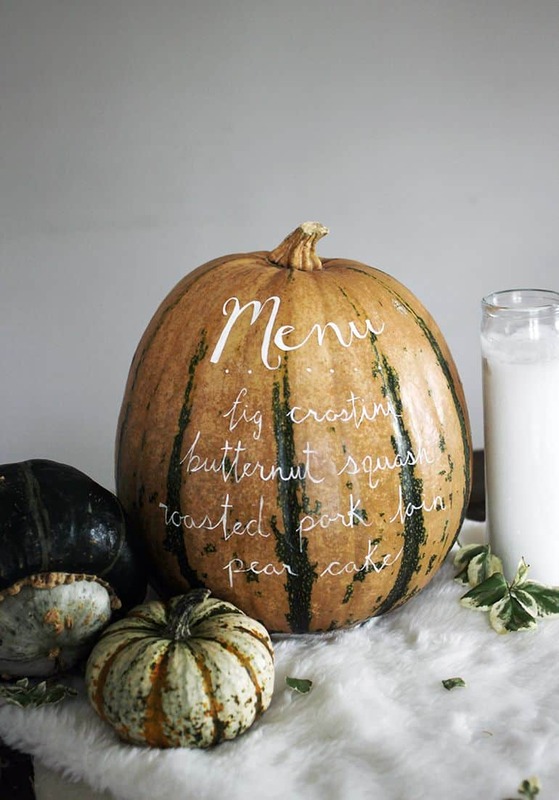 The menu pumpkin idea is a genius one. We found this cutie while perusing all of the wonders at The Merrythought. Just think of all you can do with this simple notion! 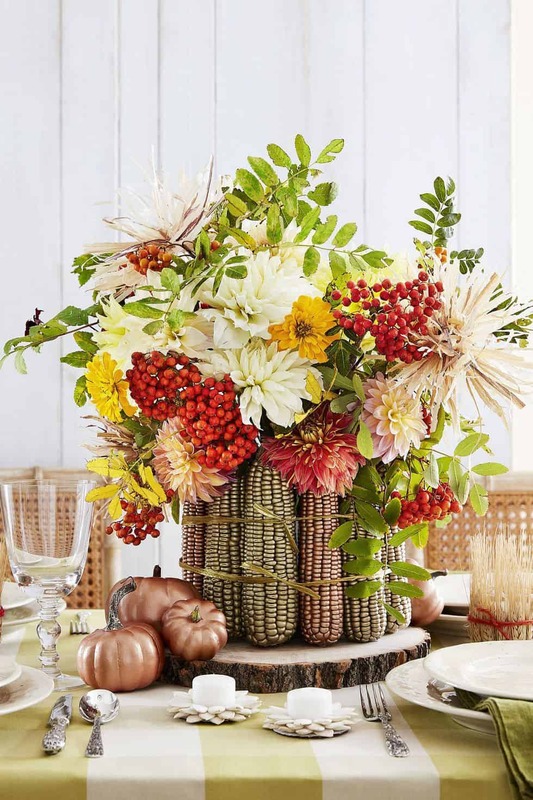 Country Living will walk you through how to make this gorgeous maize vase for the table. Fill it with florals and create a centerpiece that really impresses the guests but fits right into the season nicely. 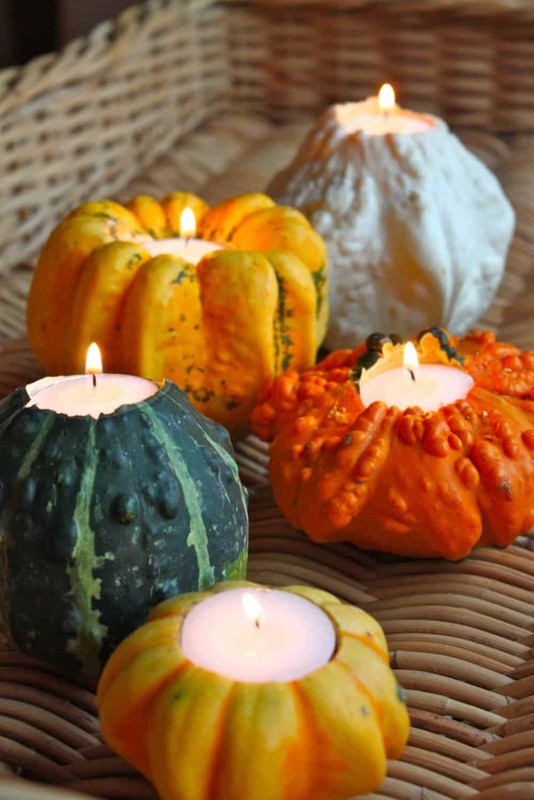 Clean out some gourds and turn them into candle holders for the table! They look great as a cluster or jut as a garland in the center. Check out how to make them over at Revel. 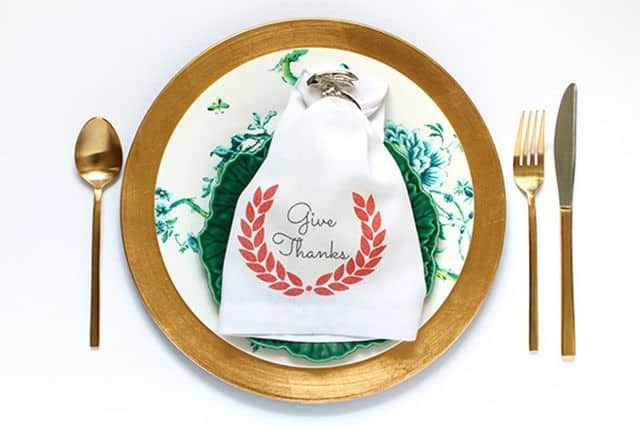 The post 15 DIY Pieces of Thanksgiving Table Decor To Create appeared first on DIYs.com.